Stadia is (probably) not for us. By us, we mean you – dedicated PC enthusiasts who are happiest when their legs are bathed in RGB light from a humming tower. Don’t get us wrong – Stadia is an imposing proposition; 4K, HDR gaming at 60fps anywhere you want, with minimal hardware outlay, and as many Google nodes as you can eat. But beyond being able to play games in a bath of cheesy puffs, or getting your grandma all het up over Sea of Thieves, there was little in the way of hooks during yesterday’s keynote presentation. Game platforms aren’t about the tech, they’re about what that tech enables. Nintendo’s Switch is a striking case in point, of course – the weakest of the big three consoles, but one that offers unique experiences that you simply can’t get on its significantly more powerful competitors. The sadly departed Vita’s rear touch pad, meanwhile, enabled players who enjoy stroking the back of their devices to actually achieve something with the action. And PS4 and Xbox One – despite creeping ever closer to a uniform architecture – both offer bespoke control setups and optimised games that punch well above their weight when it comes to squeezing juice out of their components. All of these devices offer experiences that can’t be easily replicated elsewhere, but as PC players we get to enjoy a rate of progression only limited by how much we’re willing to spend. And spend we do, even when there are only two-and-a-half games that support the ray tracing capabilities of that fancy new, just-installed card. We also have access to the bleeding edge of VR tech, and a network of players so vast that it’s possible to be insulted by hundreds of people after fluffing a headshot at any given time. Stadia’s problem – for now at least – is that it has no USP to distinguish it from what PC owners already enjoy. Yes, streaming platforms allow you to play games in new places, but they should also enable new types of games, and at hitherto unexperienced scales. Where was the 20,000-person battle royale during Google’s keynote? The RTS that uses geolocation to play out on a truly global scale? Or the much better ideas that we’ve failed to think of in time for this op-ed? In their absence, we got Doom Eternal, Assassin’s Creed, and the faint whiff of OnLive. Stadia represents the potential democratisation of PC-quality gaming, sure, allowing people who can’t or don’t wish to invest in PC hardware to enjoy dialled-up graphics settings. 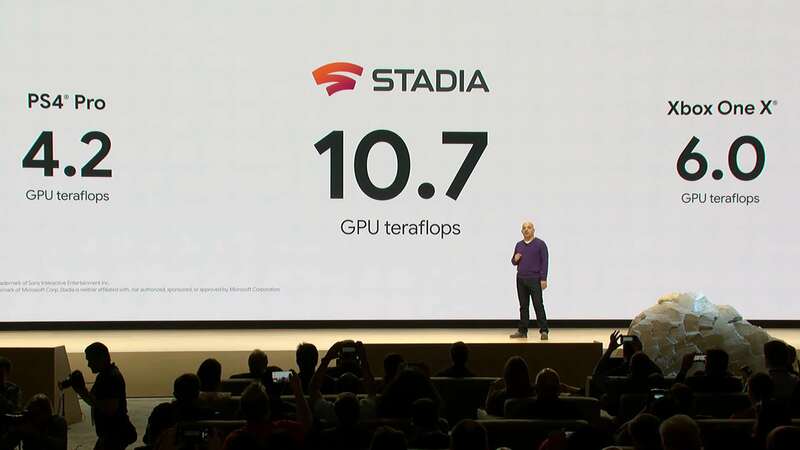 But Stadia’s GPU’s 10.7 teraflop output is hardly likely to put the willies up an RTX 2080 Ti. Stadia probably won’t match the beefiest of rigs for some time, if at all – even Google needs to think about profit – and with Microsoft, Sony, EA, and Amazon all making concerted plays for a slice of the potentially lucrative streaming market, the only thing that will grow anyone’s subscriber base is, y’know, cool games. Specifically, cool games that you can’t get anywhere else. Microsoft, Sony, and EA all have the jump here, then – Nintendo will probably do alright once it nonchalantly wanders into the streaming game upon deciding that it is ready, too. 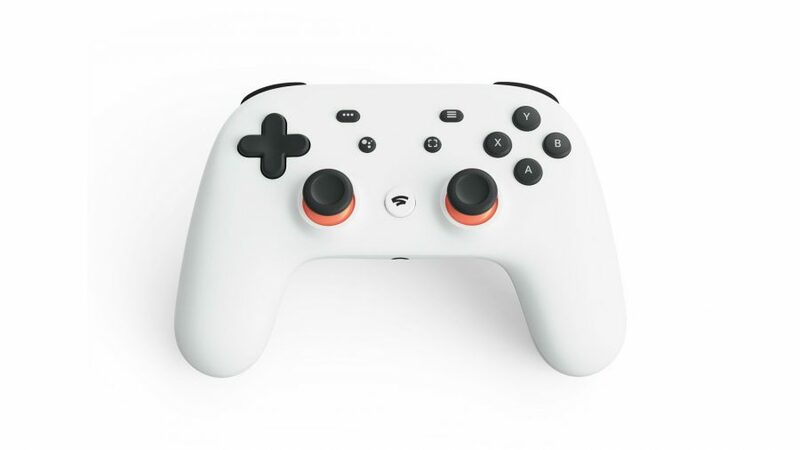 Google’s presentation was exciting, certainly – a line in the sand to announce Stadia’s arrival. And Stadia is undoubtedly an enticing prospect for certain markets. But the Californian giant needs to show more than just the games we can already enjoy on existing hardware, and deliver concepts that are better, not just more convenient, as a result of being streamed to any device you like.